Portia H. was born in 1959 and is an Atlanta, Georgia native. After attending high school, she joined the US Army and served in East Point, Georgia as an Administration Personnel Record Specialist for six years until she was honorably discharged in 1985. After the army, Portia went on to work at a bank. Her most recent job was at a bank from October 2003 until she lost her job in June 2012. As a single mother with no outside support, it was devastating. After losing her job, her home, and her car, Portia moved into a rooming house. For a while, she survived off of unemployment, but eventually her tier ended. She cleaned the rooming house in order to compensate for rent, and lived there until December 22, 2012. After leaving the rooming house, she had nowhere left to go, but a friend told her about United Way, so she sought help. United Way directed Portia to Homes of Light, where she said, “they came to the rescue ASAP.” She feels like it is an excellent program, and she is progressing. Portia has now moved out of transitional housing and into her own apartment. She is attending computer classes weekly, where she is developing skills that will be beneficial on her resume. 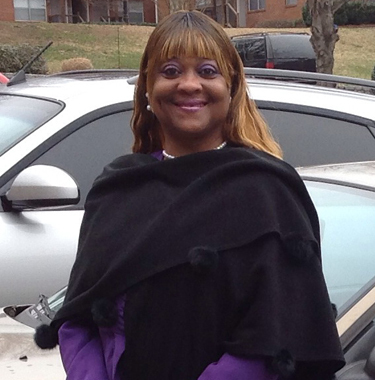 Portia worked with Homes of Light and their VET-CAR program to purchase a vehicle. She was also connected with Furniture Bank through Homes of Light and received furniture for her apartment. Portia got a job working with Pro Team to assist and mentor others who have been in similar situations. Her goal is “to be self-sufficient again,” for herself and her son. She is looking forward to having a home again, and plans on going to school to get her Associate’s Degree in Business.